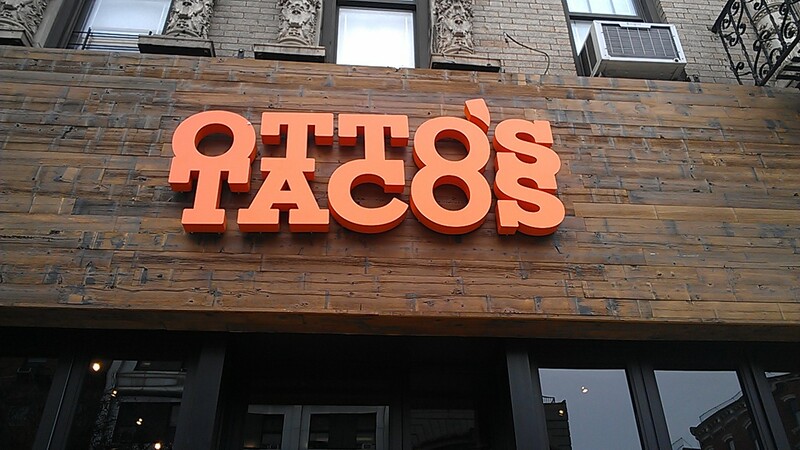 While exploring the East Village with my family during the Thanksgiving holiday, we stumbled upon the newly opened Otto's Tacos on 2nd Avenue. Feeling a bit overwhelmed with all the Asian food we consumed during the week, we decided to go off the usual routine and add a bit of L.A.-styled Mexican to our repertoire. With a simple menu of 5 tacos (Carne Asada, Carnitas, Chicken, Mushroom and Shrimp) along with some original sides like Masa Fries and Chips and Guac, this was exactly what our tired and not wanting to think minds needed after a long day of shopping. The decor of the restaurant is what I call "manly minimalist" - a mix of simple and clean fixtures and lots of raw wood and steel. The food is also simple to the naked eye but quite complex in its flavors. A favorite of the Finance Foodie gang was the Shrimp taco served with Serrano Crema, cilantro and onions, all in a made in store soft corn taco shell ($3.50/piece). 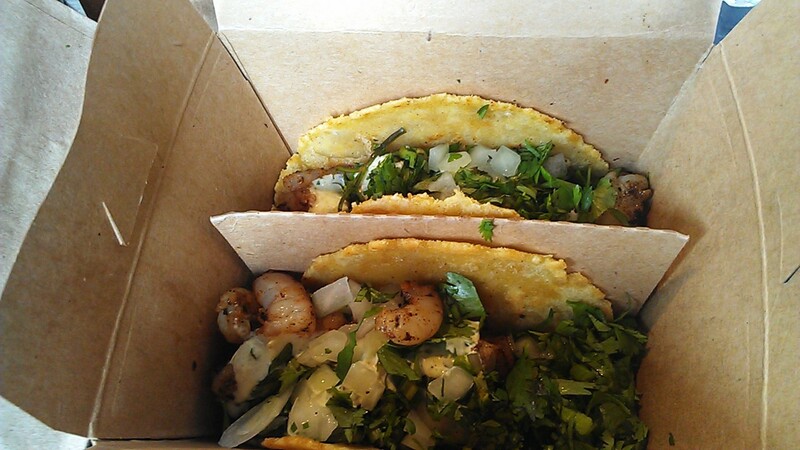 The shrimp was nicely grilled and the Serrano Crema added just the right amount of sweet-rich-spiciness to the taco. So complex in flavor for something so bite sized! Another cool thing about Otto's is their proprietary Masa fries ($3.00) - basically a mash up of their taco shells that is then deep fried. This chewy taco accompaniment is something you’ll have to try to truly enjoy, the description wouldn't do it justice. 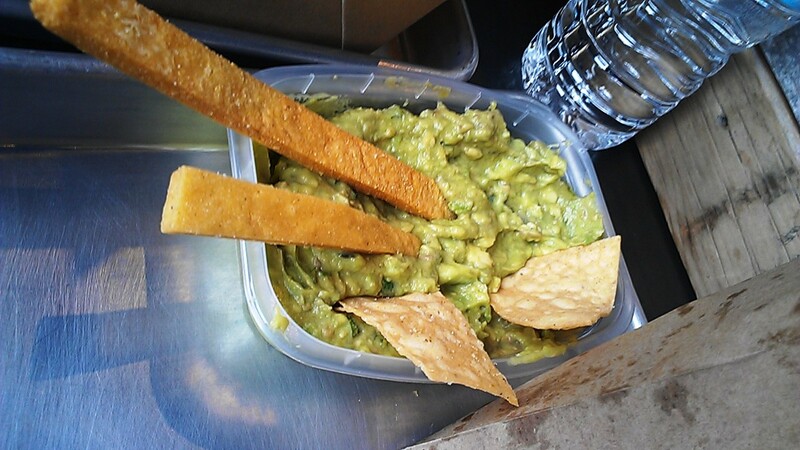 Dipped in either the Guac ($3.25) or the house made "secret sauce" that comes with the fries, it's a sure winner in my book. Bottom line, Otto’s provides fresh, flavorful food at a price that supports frequent dining.